3mm, 4mm, 5mm, and 6mm sizes. 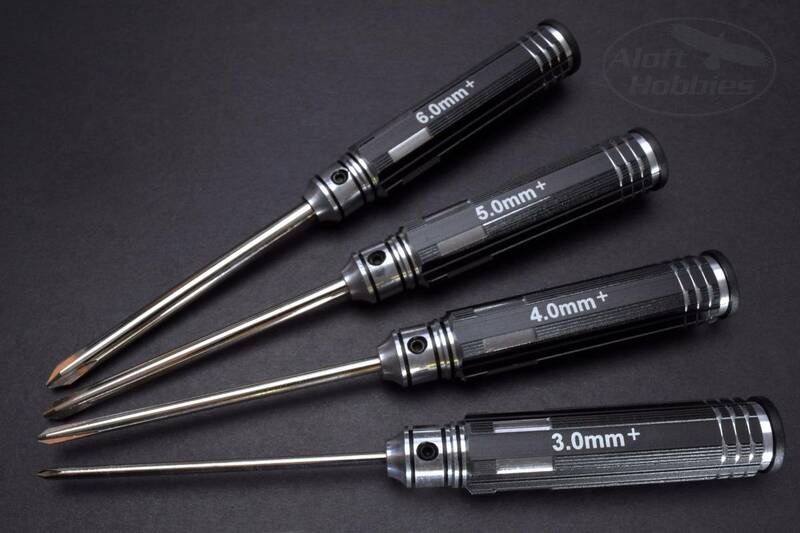 A set of four phillips head screw drivers with machined aluminum handles and shaft sizes of 3, 4, 5 and 6 millimeters. The screw driver end cap is removable and reveals a small storage area inside the handle.